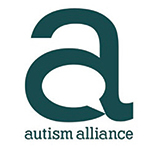 The Autism Alliance publish a range of reports, autism specific toolkits and associated information intended for professionals and public use. The Alliance are also involved with several external organisations, committees and Parliamentary Groups whose focus is relevant to our members and our site visitors. These documents, microsites and evaluation information can be found on this page. In November 2016 ERS was commissioned by The Autism Alliance UK to undertake an independent evaluation of the Connect to Autism Project as part of work linked to the Think Autism Strategy. The rationale for the Connect to Autism project was in response to the challenges faced by people with autism; who can be treated with incomprehension and mistrust and discriminated against and made to feel unwelcome. The overall aim was to bring autism into the mainstream and to increase peoples’ wider awareness and understanding; to the benefit of individuals on the autistic spectrum and their families. This report by the All Party Parliamentary Group on Autism recommends to the Government that it is now time to introduce a national autism and education strategy for children and young people, setting out how they should be supported and what we should expect from our education system. ‘Without such a strategy, too many young people will fall through the gaps and miss out on the opportunities they deserve. I urge the Government to respond positively to this report’. The recommendations from the Inquiry provides a strong agenda for change, and the Autism Alliance UK will be closely monitoring the impact of this report. The Autism Alliance and the National Autistic Society formed a Cross Sector Partnership in 2016 sponsored by the Department of Health. One of our first priorities was the access of children on the autism spectrum to community CAMHs. This guide alongside the CAMHS Toolkit was produced as part of the first cross sector partnership on autism. The partnership was funded by the Department of Health and co-chaired by The Autism Alliance UK and the National Autistic Society, bringing together key stakeholders to improve outcomes for autistic people and their families. It aims to assist local authorities to improve their skills and knowledge of their social care assessors and gives useful examples of good practice. A resource to support awareness and understanding of Autism Spectrum Conditions and practical guidance for supporting people who have neurodiverse conditions into employment. It also contains useful resources and additional local support contacts and organisations.